Student loans are unavoidable for many students who otherwise couldn't afford to go to a college or university to further their education. In fact, more than 70 percent of 2017 graduates left school with student loan debt. Like all loans, student loans have to be repaid, but there are options available to you if you get into financial difficulty and are unable to make your repayments. Most student loans, including Direct Subsidized Loans, Direct Unsubsidized Loans, Subsidized Federal Stafford Loans, Unsubsidized Federal Stafford Loans and some private student loans, have a six-month grace period, meaning you don’t have to make your first repayment until six months after graduation (or when you drop out of school or go below half-time status). However, PLUS loans have no grace period, and the grace period on other types of loans, such as the Federal Perkins Loan, varies by school. Check with your school or loan provider to find out the grace period for your particular loan. Your repayment plan depends on your loan provider and the type of repayment plan to which you agreed when you first took out your loan. Some loans are repaid based on a percentage of your income, while others begin with low payments that increase in proportion to your income. If you're struggling to meet your loan repayments according to the terms of your agreement, your first step should be to contact your loan provider. Your provider will discuss your options, such as deferment and forbearance. Deferment and forbearance are both measures that allow you to temporarily stop making payments or reduce the amount of federal student loan payments. They have the same effect, but there's one important difference. With a deferment, you may not be responsible for paying the interest that accrues on certain types of loans during the deferment period. On the other hand, interest continues to accrue during any forbearance period. On Direct Subsidized Loans, Subsidized Federal Stafford Loans, Federal Perkins Loans, the subsidized portion of Direct Consolidation Loans and the subsidized portion of FFEL Consolidation Loans, you are generally not responsible for paying the interest that accrues during deferment. However, you are responsible for paying interest that accrues during deferment on Direct Unsubsidized Loans, Unsubsidized Federal Stafford Loans, Direct PLUS Loans, Federal Family Education Loan PLUS Loans, the unsubsidized portion of Direct Consolidation Loans and the unsubsidized portion of FFEL Consolidation Loans. When you are responsible for paying interest that accrues on your loans during a period of deferment or forbearance, you may pay the interest as it accrues, or you may leave it to accrue and be added to your loan principal balance (known as capitalization) at the end of the deferment or forbearance period. However, if you opt for capitalization, the total amount that you pay back over the term of your loan may be higher. To qualify for a deferment on your student loan, you must meet certain eligibility requirements. These include being enrolled in an approved graduate fellowship program, being enrolled in an approved rehabilitation training program for the disabled, being unemployed or unable to find full-time employment for up to three years, experiencing economic hardship, serving in the Peace Corps for up to three years or being on active duty military service in connection with a war, military operation or national emergency. If you are enrolled at least half time at an eligible college or career school and received a Direct PLUS Loan or FFEL PLUS Loan as a graduate or professional student, you may also be eligible for a deferment on your student loan for an additional six months after you cease to be enrolled at least half time. Additionally, you may qualify for deferment if you are a parent and you received a Direct PLUS Loan or a FFEL PLUS Loan while the student for whom you obtained the loan is enrolled at least half time at an eligible college or career school and for an additional six months after the student ceases to be enrolled at least half time. How Do you Qualify for a Forbearance? Whether you qualify for a forbearance or not depends on the type of forbearance. You may ask for a general forbearance (also known as a discretionary forbearance), which is available for Direct Loans, FFEL Program Loans and Perkins Loans, if you are temporarily unable to meet your loan payments due to financial difficulties, medical expenses, a change in employment or other reasons acceptable to your loan provider. Your loan provider decides whether to grant your request for a general forbearance. If your request is granted, the forbearance period is no longer than 12 months, although you may request another general forbearance if you are still having financial difficulties when the initial forbearance period ends. The other type of forbearance is mandatory forbearance. This is not a discretionary forbearance, meaning your loan provider must grant it provided you meet the eligibility requirements. You may be eligible for a mandatory forbearance if you are serving in a medical or dental internship or residency program and meet specific requirements, you are serving in an AmeriCorps position for which you received a national service award, you are performing teaching service that would qualify you for teacher loan forgiveness, you qualify for partial repayment of your loans under the U.S. Department of Defense Student Loan Repayment Program or you are a member of the National Guard and have been activated by a governor, but you are not eligible for a military deferment. 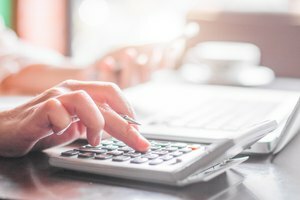 If the total amount you owe each month for all of your student loans is at least 20 percent of your total monthly gross income, you may also be eligible. Mandatory forbearances are granted for no more than 12 months at a time, but if you still meet the eligibility requirements for the forbearance when your current forbearance period ends, you may request another mandatory forbearance. 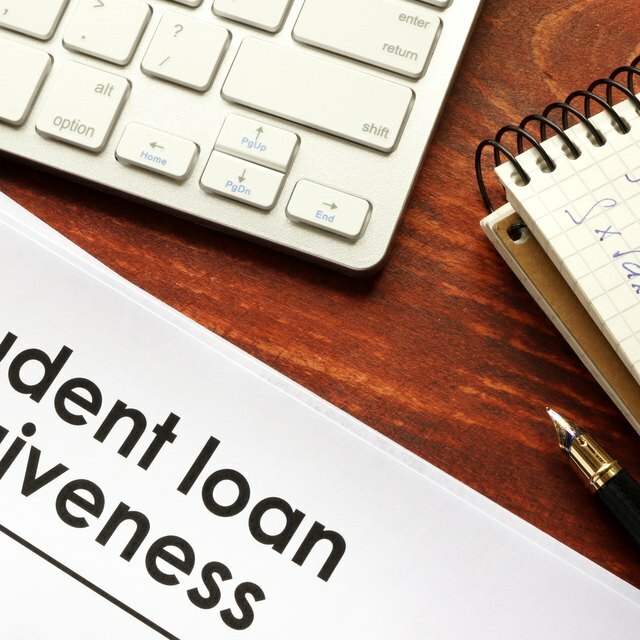 In most cases, the first step to getting a deferment or forbearance is sending a request to your loan provider, typically on a student loan deferment form or forbearance form. It's common practice to have to send accompanying documentation to prove that you meet your loan provider's particular eligibility requirements. Automatic deferment may occur if you are enrolled in an eligible college or career school at least half time. Your loan provider will then inform you that the deferment has been granted. If this doesn't happen, you should contact your school financial aid office and ask them to send the necessary information to your loan provider in order to place your loan into deferment. It's very important that you carry on with paying your student loan until you have official notification that your loan is in deferment or forbearance, otherwise you may default on your loan and incur penalties. If you're not eligible for deferment or forbearance, there are ways to make your loan repayments more manageable. For example, you could change your payment due date to ensure you get paid before your monthly loan payment is due. You could also change your repayment plan to an income-driven repayment plan, which uses your monthly income to determine your monthly loan payment amount. Another option is to consolidate multiple student loans at no additional cost with a Direct Consolidation Loan, which lets you combine more than one federal student loan into a single monthly payment. Contact your loan provider to discuss any of these options. 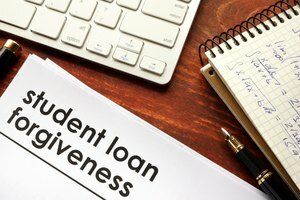 Under some circumstances, a federal student loan may be forgiven. This means all or part of the loan amount is cancelled. However, student loan forgiveness is subject to very strict criteria and is not possible for most people. One basis for student loan forgiveness is career type. The Public Service Loan Forgiveness Program reduces the pressure of student loans on highly qualified graduates to encourage them to follow a public service career path. Direct PLUS Loans and Direct Consolidation Loans are eligible for the Public Service Loan Forgiveness Program, but private student loans are not. To quality for this type of loan forgiveness, you must work a minimum of 30 hours per week and make 10 years of monthly loan payments on time after loan consolidation through a qualified repayment program. Qualifying public service jobs include government organization jobs (at the federal, state, local or tribal level), not-for-profit organizations designated as tax exempt, not-for-profit organizations that are not tax exempt but provide a qualifying public service and full-time AmeriCorps and Peace Corps volunteers. These roles may be in law enforcement, health, education, public law and veterinary medicine. If you have taught full time at a qualifying school for five full, consecutive years, you may be eligible to have from $5,000 to $17,500 of your student loan forgiven via the Teacher Loan Forgiveness Program. Qualifying schools are low-income elementary and secondary schools, and the full list of schools is published by the U.S. Department of Education each year. Teachers may also be able to get loan forgiveness through their state. Similar loan forgiveness programs are available for nurses, doctors, lawyers and those serving in the military. Federal Perkins Loans offer a forgiveness program to full-time employees in qualified careers, such as firefighters, nurses, medical technicians, soldiers in hostile fire or imminent danger pay areas, VISTA or Peace Corps volunteers, professional providers of early intervention services for the disabled, faculty members at a tribal college or university and special education teachers for children with disabilities in public schools, other nonprofit schools or educational service agencies. If you qualify, you can have your entire Federal Perkins Loan cancelled over five years as follows: 15 percent per year for the first and second year, 20 percent for the third and fourth year and 30 percent for the fifth year. Another route to student loan forgiveness is called discharge, but it is only granted under extremely rare circumstances. Discharge, which can apply to both federal and private student loans, is generally awarded by a judge based on the borrower's permanent disability or death, being a victim of identity theft, an unauthorized signature on the loan by the school without the borrower's knowledge or a false certification of student eligibility. In order to get a student loan discharged due to bankruptcy, you must prove undue hardship. You're not eligible for forgiveness or discharge if you don’t complete your education, can’t find a job related to your program of study, are not satisfied with the education you received or were under the age of 18 when you signed your promissory note or received your loan. In the first instance, you must apply to your loan provider for forgiveness or discharge, and there is no guarantee that it will be granted. You must have documentation, such as transcripts, enrollment agreements, proof of repayments made and records of time worked, in order to back up your application. Gillespie, Claire. "About Student Loan Deferment." 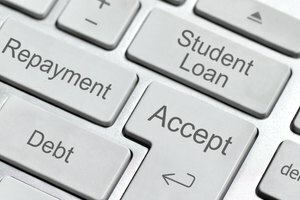 Synonym, https://classroom.synonym.com/about-student-loan-deferment-13714941.html. 24 September 2018.